Jay works Tuesdays, Thursdays and Saturdays. She is currently accepting new and returning patients. 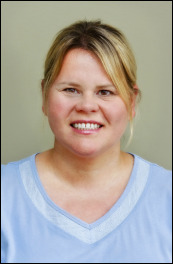 Jennifer Graduated from West Coast College of Massage Therapy in 1992. She was appointed to the board of the College of Massage therapy for 6 years and serve on the Ethics and Discipline committee from 1993-1997. She was a board examiner for﻿ the British Columbia College of Massage Therapists from 1997-2006. Jennifer has taken many postgraduate classes since she graduated and is committed to constant learning and understanding of how the body works. She has taken extensive courses in Cranial Sacral therapy – graduate from a 3-year program from Windwood institute of Cranial therapy, and Upledger cranial and visceral therapy. Jennifer has also taken deep tissue massage from Paul St. John neuromuscular therapy, and osteopathic muscle energy courses. In June of 2010 she had an exciting opportunity to participate in a course from France that was offered for the first time in Western Canada and USA. Jennifer completed the course August 2011 from the Institute for G.D.S. Muscular Chains and Techniques, which completely changed how Jennifer assesses and treats the body. For treatments patients need to bring shorts for the postural assessment portion of the session. I based my treatments on observing mobility of the entire body, with the goal to realign dysfunctions that are palpated and observed. I test the body’s joints and fascia for suppleness or restrictions then these imbalances are realigning. Resulting in a treatment that is balancing the whole body, not just addressing the area of complaint. My professional designation is a RMT however I no longer use Swedish massage techniques (I do not use oils in treatment). The modalities I treat with are: Craniosacral, Joint Mobilizations, Myofascial Release, Visceral Manipulation techniques and GDS Articular Chains. Aysha works Tuesdays and Thursdays. She is currently accepting returning patients only. Aysha graduated from the West Coast College of Massage Therapy in August 2008. Aysha incorporates many techniques into her treatments such as myofascial release, deep tissue massage, and stretching to encourage the healing process. 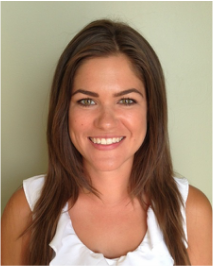 She is passionate about working with pre and post natal women, children and athletes. She has experience working with low back pain, headaches, migraines, sinusitis, pregnancy, arthritis, strains and sprains, frozen shoulder and postural abnormalities. Aysha has experience massaging the Vancouver Whitecaps and is currently teaching at the Vancouver College of Massage Therapy. Aysha believes that integrating therapies such as accupuncture, chiropractic care and physiotherapy along with massage therapy can have a positive effect on the body and mind. Linda works Wednesdays. She is currently accepting new and returning patients. Linda Warren graduated from West Coast College of Massage Therapy in April 2009, where she received her diploma in Registered Massage Therapy. She then continued to obtain a Bachelor of Health Science at Thompson Rivers University in 2011. With an interest in health and fitness, she likes to take a client-directed approach to meet her client’s goals and needs. Linda especially likes to focus on home care exercises and stretches to supplement her treatments, along with postural awareness recommendations. Linda’s treatment may include deep tissue massage, myofascial release, trigger point therapy, passive stretching, joint mobilizations and Swedish techniques. When not treating clients, Linda enjoys running, practicing yoga, and getting lost in a good book! Mike works Tuesdays and Saturdays. He is currently accepting new and returning patients. I was born and raised in Richmond, BC and have nothing but fond memories about this city and it feels great to be back. In 2007, I graduated from UBC with a degree in kinesiology (Health and Fitness). In 2013, I graduated from the 3000 hour program at West Coast College of Massage Therapy. My style of treatment is different for every person. I don’t feel that there is a set recipe for success and the ability to adapt and change is critical. Personally, I do prefer a combination of deep tissue, active release and stretch therapy, but it really is case dependant. I have personally rehabbed from multiple serious injuries including ankle sprains, torn ACL and MCL, separated shoulder to name just a few. I not only empathize with my patients, but I have learned from personal experience what works during recovery. Due to my background in sports, I have typically treated athletes in the past and would love to continue to do so but in no way is that a requirement. I look forward to working with you! Eeva works Mondays, Thursdays, Fridays, and some Tuesdays. She is available on some evenings as well. She is currently accepting new and returning patients. I graduated from the 3000 hour massage therapy program at West Coast College of Massage Therapy in December 2006. I have experienced the benefits of massage therapy and want to share that with others. In 2000 I had a serious car accident that left me with whiplash, soft tissue injuries, muscle weakness, and headaches. I sought out treatment from my chiropractor. She advised me to get massage therapy treatments as well. It was this combination that helped me to recover. The skilled treatments I received from my RMT led me to choose a career in this field after I moved to Vancouver from Ontario. I use a combination of treatments including Swedish massage, Trigger Point therapy, Muscle Energy and passive stretching techniques. Additionally I recommend the use of combined therapy treatments such as physio therapy, chiropractic and acupuncture for the body’s overall health. In June 2015 returned to Vancouver and Turning Point Wellness after taking time to travel Europe and India for over seven months. It was an incredible time for me to see and learn about the world and myself. Travel is something I still do and helps me to see all the wonder in the world and to be grateful that I live where I do and do what I love as I grow my practice. Karmyn works on Mondays, Wednesdays & Fridays. She is currently accepting new and returning patients. Karmyn is from the Community of Bella Bella, B.C. 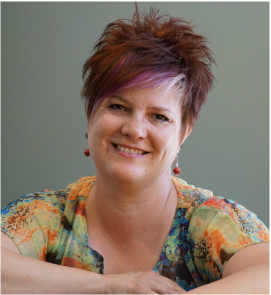 She moved her family to Richmond, B.C in 2008 and graduated from the Registered Massage Therapy 3000 Hour Program at the West Coast College of Massage Therapy in August 2011. Her focus is in Relaxation, Fascial Release and Deep Tissue techniques used to help relax, destress, detoxify, and ultimately work towards an inner balance of the body. She has a strong interest in sports injuries and physical rehabilitation, TMJ treatment, pre and post par-tum pregnancy care, and Infant Massage. Karmyn's patients range from children to seniors, aspiring for a healthy and balanced life. Karmyn's diverse experience allows her to address a wide range of client needs and develop individualized treatment plans. Her joy is in helping others feel their best, allowing her clients to get back to living the life they love. When not treating clients, Karmyn enjoys spending time with her family and being a supportive soccer/hockey/football mom and number 1 fan. She has 3 handsome sons,1 beautiful daughter, 2 furry kids and a wonderful supportive husband of 30 years. "I feel like I'm a little biased here, but I love Steveston. I grew up as a fisherman's daughter and spent a lot of summers here. It reminds me of home where everyone knows everyone. And whenever I miss my hometown or my late father, I just need to go to the fisherman's wharf and I'll run into old friends of my Dad or family and I find peace within myself again.'"